Find a multitude of options for your Monaco Grand Prix cruise when you book through Iglu Cruise. Plan ahead and secure your tickets for one of the most glamorous sporting events of the year. Cruises sail the Mediterranean departing from Nice, Cannes, or Marseille, with Grandstand tickets available for the Monaco F1 Grand Prix. Located on the sunny French Riviera is the principality of Monaco, famous for its dazzling harbour, grand belle epoque casino, lavish restaurants, royal monarchy and the glamorous Monaco Grand Prix, the premier event of the F1 racing calendar. The highlight of this special cruise package is race day in Monte Carlo, where guests will get the chance to absorb the famous party atmosphere, while watching the world renowned Monaco F1 Grand Prix live from the Grandstand. Cruises often depart from Monaco in the evening, giving passengers a full day of fun at the races. All of these special packages offer great value and a fantastic opportunity to combine a luxury cruise with adrenaline fuelled motor sports. A Monaco F1 Grand Prix Cruise is a great way to see the race live, experience the world famous atmosphere, and visit one of the world’s premier destinations. There is no better way to sail the Mediterranean than onboard a great cruise ship, with tickets to the historic F1 Monaco Grand Prix to complete your holiday. Start your exclusive Grand Prix cruise holiday package in style by including a pre-cruise hotel stay. View our special collection of Grand Prix options below. MSC Cruises have a rich heritage in Mediterranean cruising. MSC expertly combine traditional Italian charm, with the finest hospitality and a full range of excellent entertainment and living facilities. 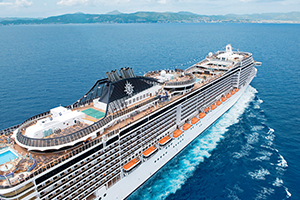 Onboard an MSC ship guests can enjoy Mediterranean style cruising at it's finest. MSC Cruises Monaco F1 Grand Prix Packages: Sail onboard MSC Fantasia, Divinia or Seaview in May 2018 for a tailor made cruise departing from Marseille or Nice. Deals Include 3 Nt hotel stay, F1 Grand Prix tickets & transfers, plus UK Flights and Overseas transfers. Star Clippers offer a cruise experience like no other; with unique four-masted sailing ships, Star Clippers is a true tribute to the heritage of cruising. Elegance, comfort, and excitement can be found onboard. 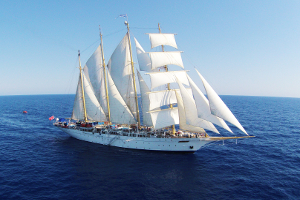 Star Clippers Monaco F1 Grand Prix Packages: Sail onboard Star Flyer in May 2018 for an exciting cruise and stay holiday including Grand Prix tickets. Ask about our unique rail and sail option. Deals Include Moncao F1 Grand Prix tickets, flights, and transfers. Ports of call can include: Cannes (France) - Monaco - Portofino - Calvi (Corsica) - Alghero - Porto (Corsica) - Sanary Sur Mer. Tailored to British tastes, guests have a wide range of great food, facilities, and onboard entertainment to choose from. P&O Monaco F1 Grand Prix Packages: P&O's Oceana will dock in Villefranche in May 2019. Tickets are available for the much-anticipated GP Formula 1 race. Join the ship in Malta, and explore some Mediterranean highlights before arriving in France. 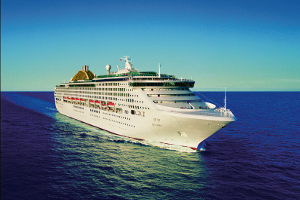 Deals include: Enjoy a seven night sailing to Corsica, France, and Italy onboard Oceana. GP standing tickets start from £95pp and Grandstand from £385pp. 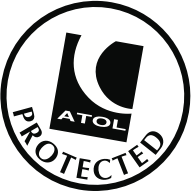 Please note that transfers from Villefranche port are not included. Sail with Fred. 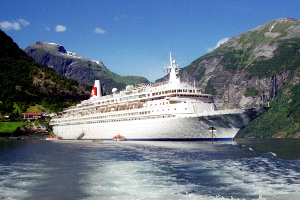 Olsen Cruise Lines, a well-respected, family-owned cruise company that has a long history and plenty of cruise experience, having started in 1848. Fred Olsen Cruise Lines Monaco F1 Grand Prix Packages: Cruise onboard Black Watch, which departs from Liverpool on 18th May 2018, before making its way to the Mediterranean via Portugal. Spend some time exploring other fantastic destinations before enjoying the race in Monaco on the penultimate day of the cruise. Azamara Club Cruises are perfect for those looking for a little luxury, and to truly unwind during their holiday. Itineraries tend to run at a slower pace, allowing guests a longer time at each port. 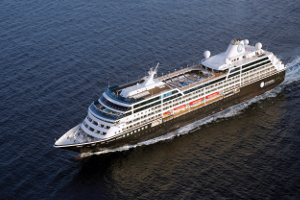 Azamara Club Cruises Monaco F1 Grand Prix Packages: Both Azamara ships will be sailing to the South of France for the Monaco Grand Prix - Azamara's Journey and Quest. Both of these cruises include multiple days in the Riviera, giving you time to properly take in the beautiful scenery, and soak up some sun.